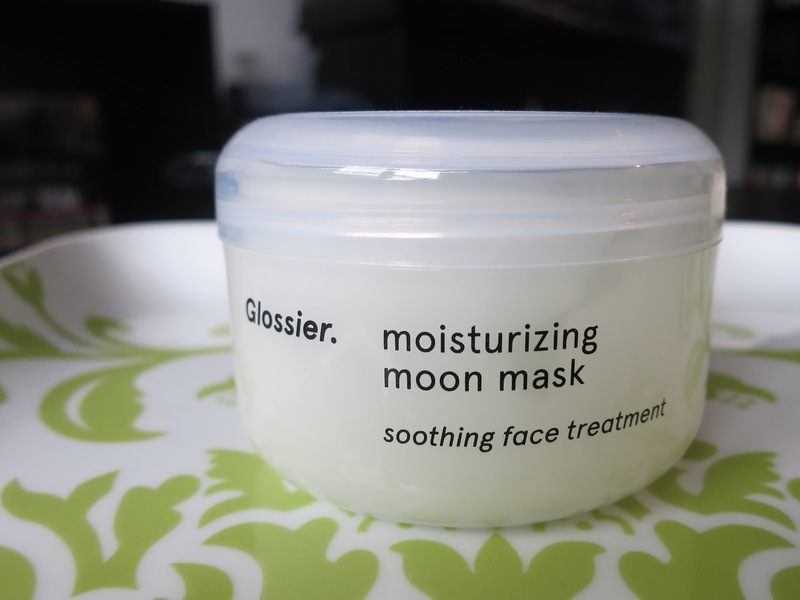 Item number five in my last Friday Five was Glossier’s Moisturizing Moon Mask, which I received in the mail last week. It’s my first purchase from Glossier, a brand I’ve been kind of stalking for awhile. How cute is the lid design? Glossier is pretty young but has garnered a cult-like following, with new product launches that sell out super quickly. The brand, started by the brains behind beauty blog Into the Gloss, began with a small line of skin care products and expanded into the makeup category this year. In my mind, Glossier is Cool Girl Beauty personified (makeup-ified?). Glossier’s packaging is super cute (which really does matter!) and beauty fiends love their products. 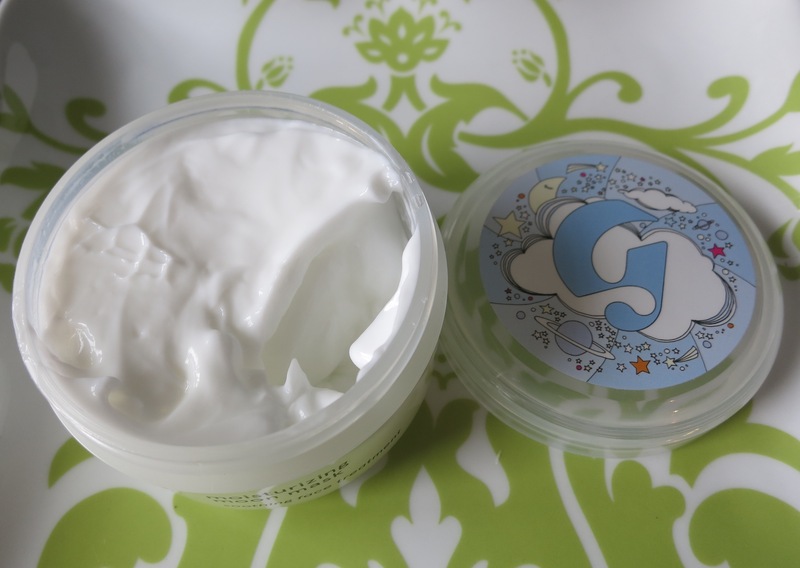 The brand even crowd-sourced their Milky Jelly Cleanser formula by asking customers what they wanted most in a facial cleanser. Once I use up the two cleansers I currently have, I’ll be ordering myself a bottle of the stuff so I can try it out for myself. Seriously, Glossier is killing it in the packaging arena. 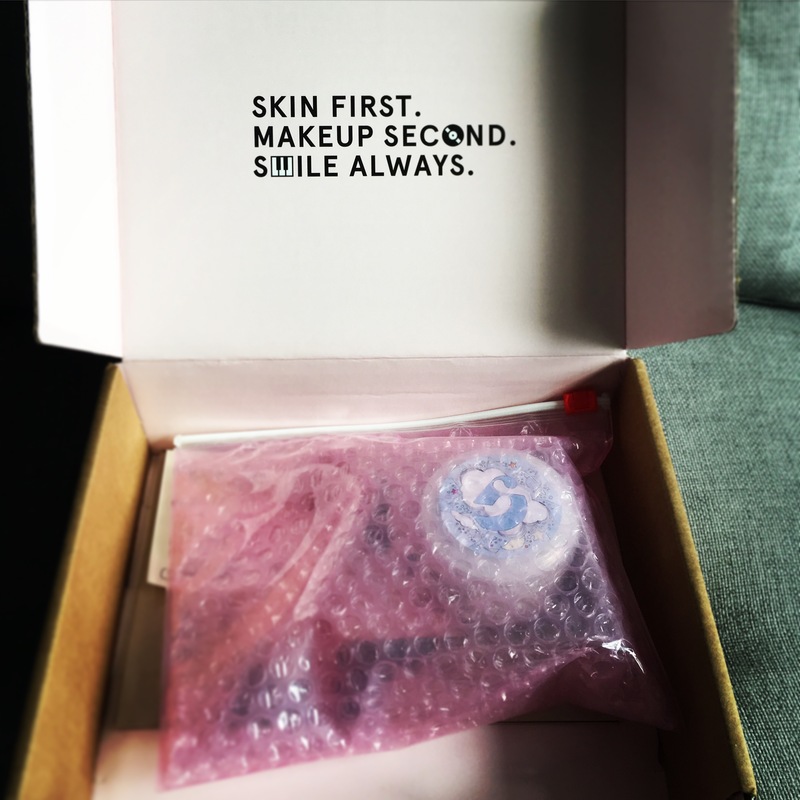 When you open the box you’re greeted with a cheerful emoji-laden message: “Skin First. Makeup Second. Smile Always.” The actual products are housed within a pink zippered bubble wrap pouch which you can reuse for travel. The package also included a sheet of fun Glossier stickers. A+ for fun, thoughtful packaging! 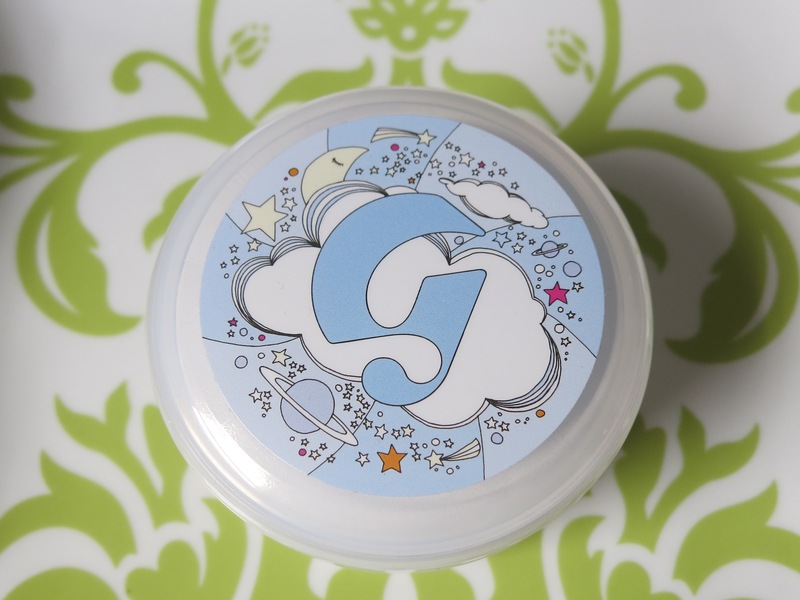 So…the Moisturizing Moon Mask! I picked this product out as my first foray into the Glossier world because my skin has been feeling dry lately. I’ve noticed that when I wear tinted moisturizer or BB cream, dry flakes are visible on my cheeks and forehead. Not cute! So I figured the MMM would be a good product for me to try out. The mask costs $22 for a 3 oz tub, and with tax and shipping the total was $28.85. Not cheap, but not cost prohibitive either. The mask contains sweet almond oil, hyaluronic acid, and plant-based squalane for hydration; licorice root and lemon fruit extract for brightening; and honey and aloe for soothing. The MMM formula is very creamy and has a mild, inoffensive smell. Below is a little swatch on my hand. The instructions on the tub say to smooth a thick layer onto moist skin and let it sit for 20 minutes, then rinse the excess off with lukewarm water. However, the website says to apply a thin layer of the mask. 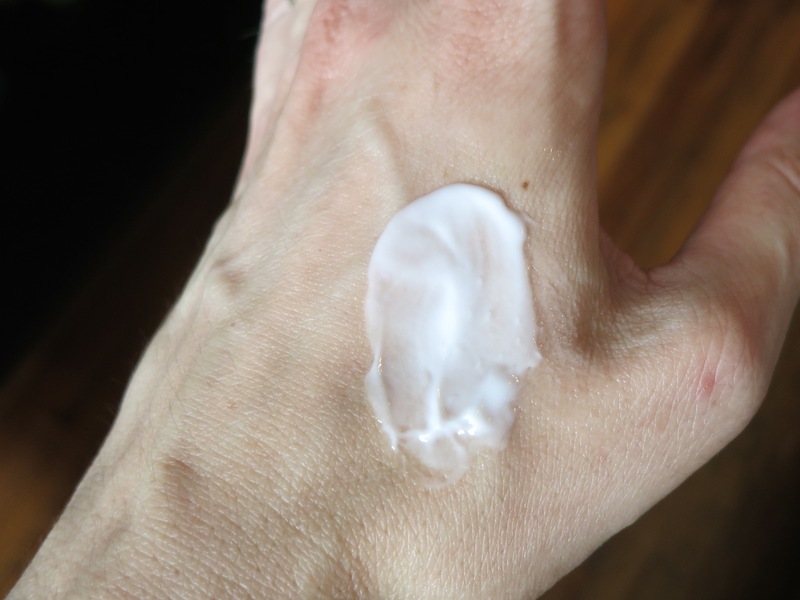 Whenever I see product directions that say to apply a thick layer I assume it’s a ploy to get customers to use more product so they repurchase more frequently—so I usually go with a thinner layer than recommended. 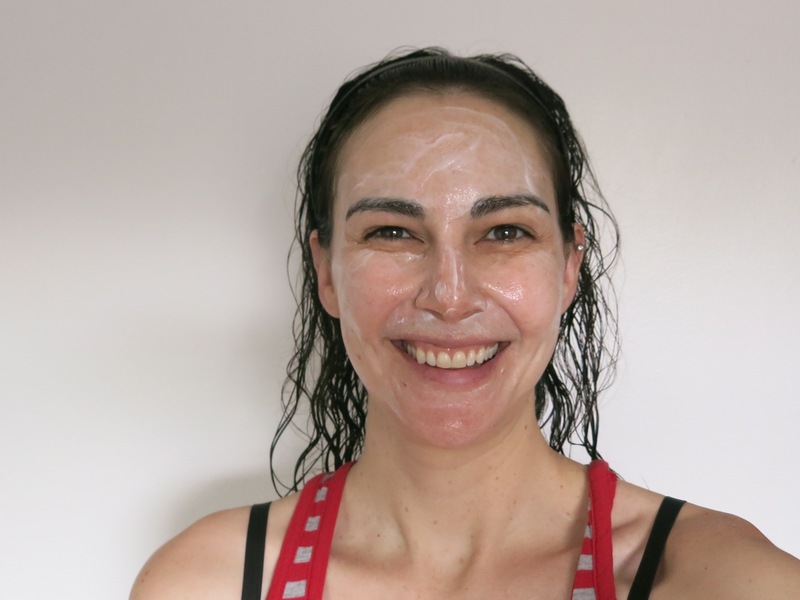 I did some cleaning around the house while I let the mask hang out on my face and do its thing, and when it came time to rinse I found that my skin had absorbed some of the product (though there was still plenty to rinse off). I purposely did not apply moisturizer after rinsing because I wanted to see how moisturized my skin felt post-mask. And you know what? My skin did not feel tight and dry like it usually does after I wash a mask off! That’s a solid testament to the Moisturizing Moon Mask’s claim of delivering intense moisture. Have you been inducted into the cult of GLossier? If so, what are your favorite products from the brand?